This unit of work was created in partnership with The Garret and accompanies their interview with Isobelle Carmody. Please click here to access the Interview, Bibliography, Show notes and Transcript, and Author profile. The following activities and tasks presume knowledge of the interview and at least some extracts from Isobelle Carmody’s novels or complete short stories. The focus is on the craft of writing fantasy fiction, with the unit culminating in an assessment task that includes both receptive and productive responses. The unit may be provided as an extension activity or a project-based unit for a small group or individuals. It could also be undertaken by the whole class if necessary. It will be important for students to have access to some Carmody novels, short stories and her graphic novel, Evermore. Isobelle Carmody reveals significant details about her family life; the death of her father in an accident caused by a drunk driver; becoming a storyteller in a pre-internet, pre-television world; and about not finding her place in the physical world. She explains how this, together with the ‘big questions’ she was asking herself, led to a fascination and hunger for fantasy books (02:02–03:54 of the interview). To me the world was an inimical place where bad stuff happened. My mum was always afraid the welfare would come and take us, and so I had this feeling, we all did, that the world was a dangerous place. And we had evidence of that. In books I was looking for stuff that mattered, because in a world where anything like that dark stuff could happen there ought to be something worth living for…I’m not alone – although I really thought I was back then – I’m not alone in longing or yearning for something more. Form groups and identify picture books, novels, films, TV shows or music that have allowed you to escape from the real world. Describe how such an escape makes you feel, and the techniques used by the author to provide that escape. Why does Isobelle Carmody believe that such escape is a benefit to our individual well-being? development of approaches, style and individual writing characteristics. As Activity One explored, Carmody used her reading and writing of fantasy to not only escape the reality of her world but to answer big questions in imaginative places where ‘magic’ was possible. You do have to have an idea of where you’re going. For me it’s always been, when I begin a story, it’s always with a character, through a character’s eyes, and the worlds that I discover are through their eyes, not planned with putting them on the board, but through their eyes. I don’t see anything beyond what they see, and I don’t know where they’re going until I get there. In this task, students will use ONE of these visual prompts (PDF, 437KB) to create a world through the eyes of a young character who is ‘yearning to be someone special’. Students will use handwriting, as Carmody does in her first draft, for this low-stakes writing task that will not be assessed. The benefit of handwriting here is that students are encouraged to just keep moving across the page, whereas on a computer screen or tablet the temptation may be to delete words. Allow students to select their image and have a short time to discuss and share ideas verbally about their own characters and why they are someone special. They will then undertake fifteen minutes of silent writing to produce the beginning of a fantasy adventure, followed by ten minutes of self-editing and review of their own writing. other writers using similar approaches or dealing with similar ideas. Carmody says she finds fantasy more appealing than realist settings because in such imagined settings she feels that the ‘big questions’ or philosophical questions can be answered. In the fantasy film Shrek, we must consider the big question of how we perceive objects or people as beautiful or ugly? What makes something either beautiful or ugly? In The Hobbit and Lord of the Rings series, as books or films, as well as the surface story, we are invited to consider how too much power invested in an individual can be dangerous, or whether leadership can be seized or must be earned? The Harry Potter series also raises big questions for readers, such as can we ever trust another person completely, or do family secrets protect or harm us? What responsibilities must be borne by individuals with enhanced abilities? Students will work in groups and address the task below in order to report back to the class. Each group will identify three fantasy texts; students can choose from the examples above or choose any other fantasy titles they know. These may include one video game and one film, but there must be at least one prose text. an outline of the text and its mode (video, print text, comic, etc. ), the authors’ names and where and when the works were published or released. a brief description of the action and ‘surface’ story. three or more ‘big’ or philosophical questions explored by that text. identifying and justifying language/stylistic techniques or devices for specific narrative or dramatic purposes. Sometimes in attempting to mimic a writer’s style, students can learn how to follow the rhythm and tone of a piece of writing. It also supports student discussion about word choice, and the self-conscious moves made by authors to create the mood and action in a scene. Consider this excerpt from The Sending by Isobelle Carmody. …At the far end of a narrow passage, a yellow light flashed a dull summons in the grainy dimness. The ground underfoot was broken and dangerously uneven, but a sense of urgency drove me on. ‘Stop!’ a woman’s voice commanded. 1. Students can attempt to create their own fantasy text by substituting different words. Such an exercise leads students to follow the rhythm of the original and also to select verbs and nouns that are characteristic of establishing a setting for a fantasy story. At the far end of a ____________________, a __________ light ________ a ________ summons in the ___________. The ______________underfoot was ___________ and dangerously _______, but a sense of __________ drove me. ‘__________!’ a ______________ voice commanded. 2. Using any fantasy novel cover as a base, imagine that the cover design with images and colour will remain, but that you have to re-purpose that cover design with a new text including storyline, characters, place names and title. Keep to the same number of words as the blurb on the back and any other text on the front cover, but replace the words to create new fantasy style names for characters and places, and so construct a coherent storyline that might appeal to fans of the fantasy genre. Display your covers in the classroom after justifying your decisions and the spelling of proper nouns. 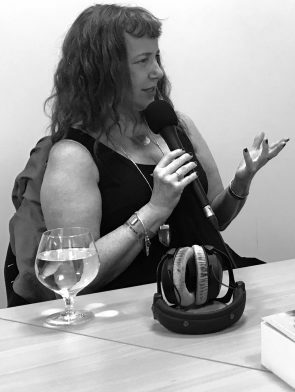 Isobelle Carmody uses reading and writing to explore ‘big’ or philosophical questions, and she achieves this in her novels when her characters undertake external journeys that mirror their internal or philosophical questions. Examples of philosophical questions are listed below. Give this list of questions to students in groups and encourage brainstorming and clarity about the meaning and relevance of such questions. Each student is to select one of these philosophical questions or negotiate an alternative. The website, 202 Philosophical Questions, may be useful to teachers and students if the questions below do not resonate with students. What if an individual is regarded as a hero but is fearful of the world? How will our race wake up to the urgent need to save our planet? How is it that small actions can sometimes have far-reaching consequences? What are the risks and consequences of elders not listening to young people? Is it possible to live a full life without pain or loss? What can communities achieve that is not possible for an individual? Why is it that we never truly understand ourselves until we understand others? This task is an opportunity for students to use their learning in previous activities to produce an outline of a fantasy text for others to enjoy. Students will complete each step below, and the teacher will determine if this is done individually, in pairs or groups. Students will identify a philosophical question that might be addressed in a fantasy novel, film or video game. a fantasy character in prose or image who will address the chosen philosophical question. Have a fantasy expo in the follow-up lesson where students share and compare their responses to further refine their understanding of philosophical questions and the fantasy genre. Invite the teacher librarian, or other teachers, to come to class to share suggestions of some of their favourite fantasy novels, including new releases available for borrowing. Please note that Auslit is a rich resource for any study of Australian literature or of Australian writers. To access this on-line resource, you need to do so via your school library or through your own personal membership of your state or Territory library service. Talk to your school or local librarian for more information. Rosie Kerin is a freelance writer and education consultant. Her 15-year career as a teacher of English, and as a curriculum and school leader, spanned middle, secondary and senior secondary schools in South Australia. While a literacy consultant for Catholic Education South Australia, Rosie completed her doctoral research exploring the changing practices and identities of mid-career English teachers as they mastered and integrated digital technologies within their professional contexts. Her teaching and research interests include the ever-changing scope and field of English teaching, particularly in relation to the integration of evolving texts and digital technologies in classroom and professional learning.